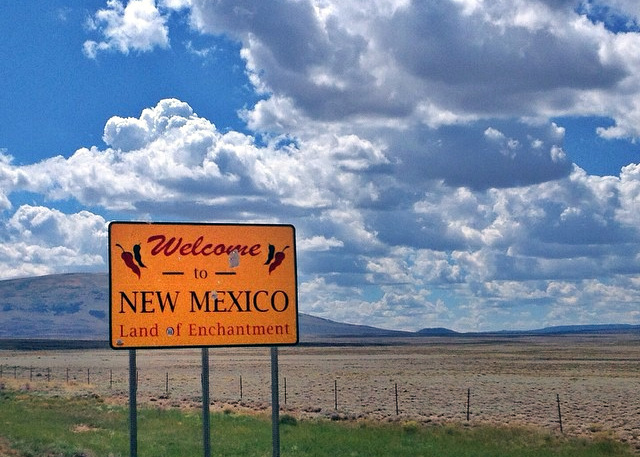 We’re back in New Mexico! You might think that after spending three and half months here last spring we would have had enough. Or you might think that we would want to explore some new states and expand our horizons. While you’re right that we’re looking forward to checking out some new states soon…we do have a very good reason for returning here this fall. We’re going to the Albuquerque Balloon Fiesta!!!! Not only are we attending this event, but we are doing it in the best possible way by joining a group of 200 Airstreams and parking right on the field amid a sea of balloons!!!! In case you couldn’t tell by my excessive use of exclamation points, I am a tiny bit excited. So we’re back in New Mexico, slowly working our way towards Albuquerque for the Fiesta which starts on the 3rd. 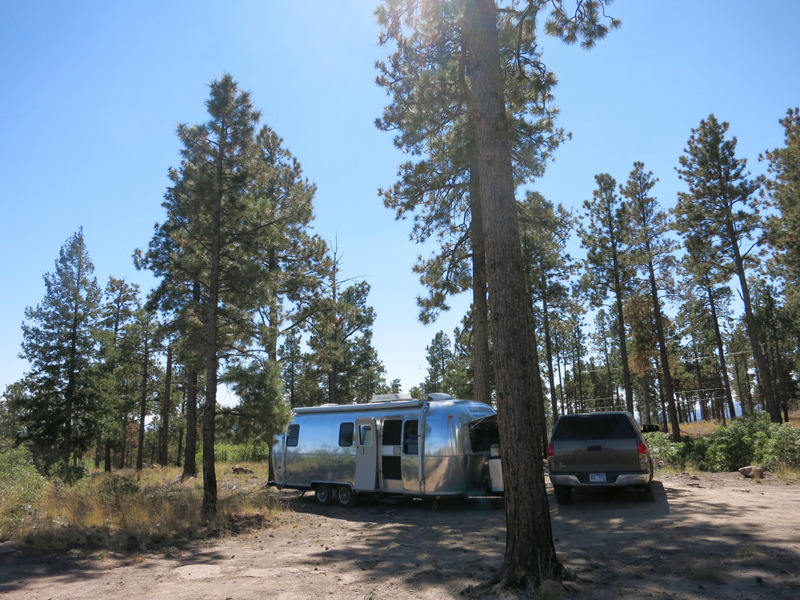 Soon we’ll be heading to Santa Fe to position ourselves to meet-up with the Airstream group, but this week we’re still a bit north in Los Alamos. 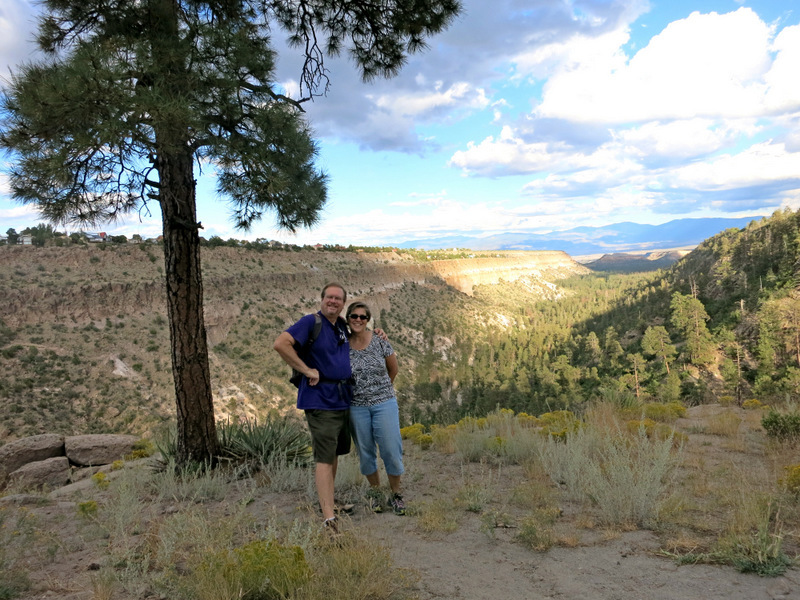 Remember last year when we spent one night at Bandelier National Monument? During that time we met up with local residents and part-time travelers Karen and Greg who told us all about Los Alamos and convinced us that we must come back for another visit. 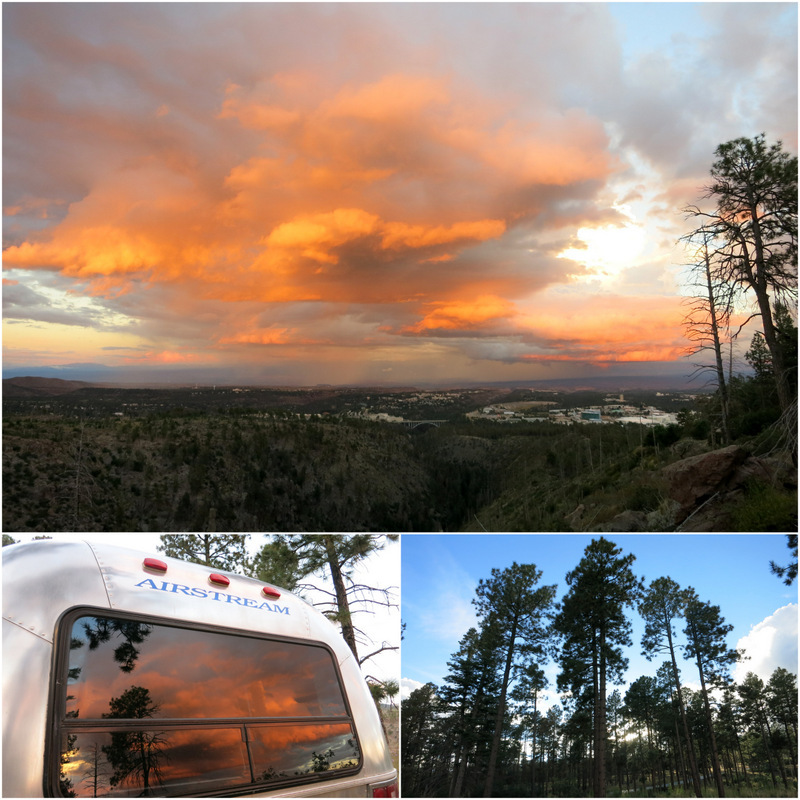 They also shared a boondocking spot with us only a few miles from town in the national forest. 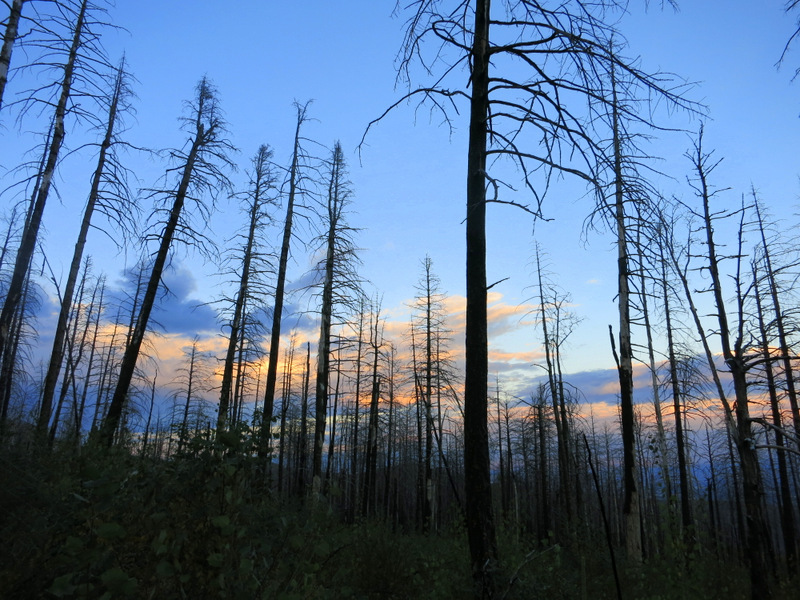 Since we’re headed east for the next year where boondocking is bound to be much harder to come by, we jumped on the chance to spend one last solitary week in the forest. Karen and Greg even drove up before we arrived to check out the cell signal at our spot, and take pictures for us. Talk about making us feel welcome. Then they invited us to their home for dinner (forgot to take pics) where they served us homemade chicken pot pie and ice cream! But the hospitality didn’t stop there. This week we’ve gone on two guided hikes with them, and Karen has kept us well informed on the going ons around town. What a treat to have our very own knowledgeable tour guides. Besides hanging out at our nice site and hiking with Karen and Greg we’ve done a bit of exploring around town. One day we spent the afternoon at the library sucking up their speedy free wi-fi and enjoying a change of scenery. 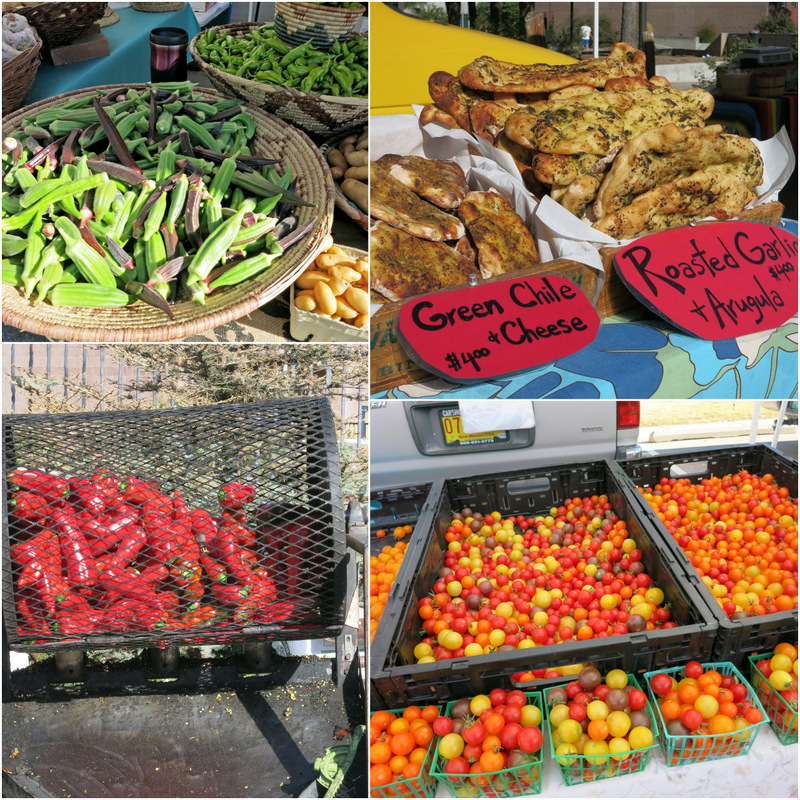 Another day I went to the local farmers market where I found a bountiful selection of veggies and fresh roasted chilies. I just love the farmers market this time of year. They have everything! 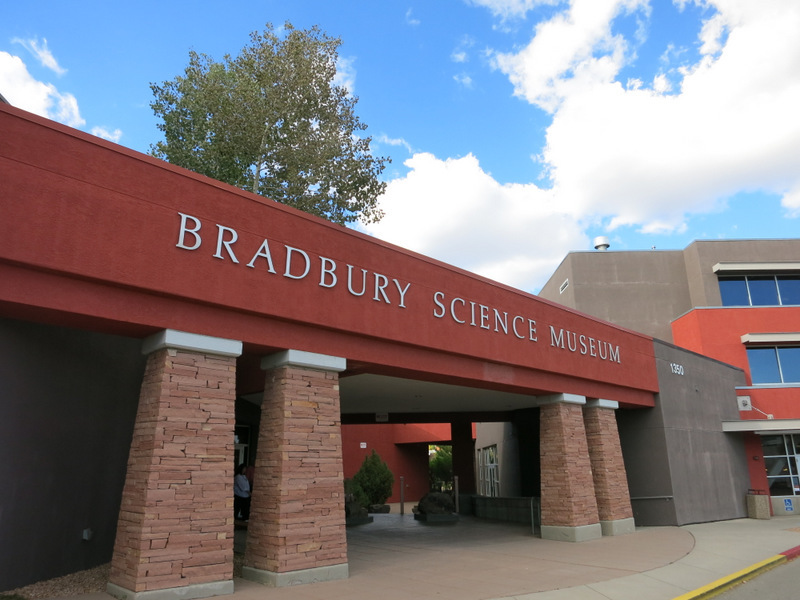 We also spent some time exploring the Bradbury Science Museum. You may already know that Los Alamos is the birthplace of the Atomic bomb and the home of the Manhattan Project. 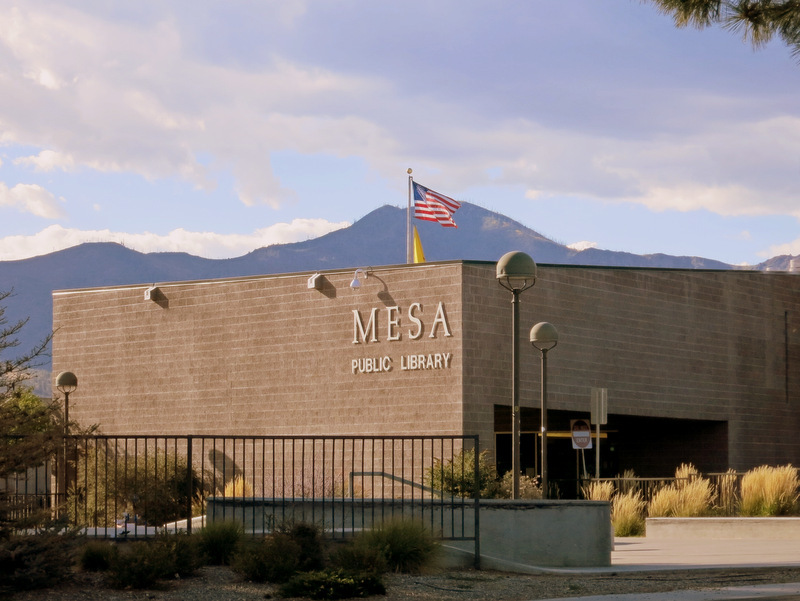 The museum is a great place to learn about the history of the Los Alamos National Laboratory, along with some information about current projects that the lab is working on such as nano science and growing algae for use as a biofuel. I have some seriously mixed feelings about the building and use of the atomic bomb, but that just means I am more interested in learning about what went on here. Even though the museum is operated by the lab, I thought they did a great job of presenting facts instead of hype and slanted rhetoric. Definitely worth a visit if you’re in the area. Los Alamos has been a fun and relaxing place to spend out first week back in New Mexico. We always enjoy small town with lots of outdoor activities, and of course, having such welcoming hosts has made the visit that much better. Thanks again Karen and Greg! 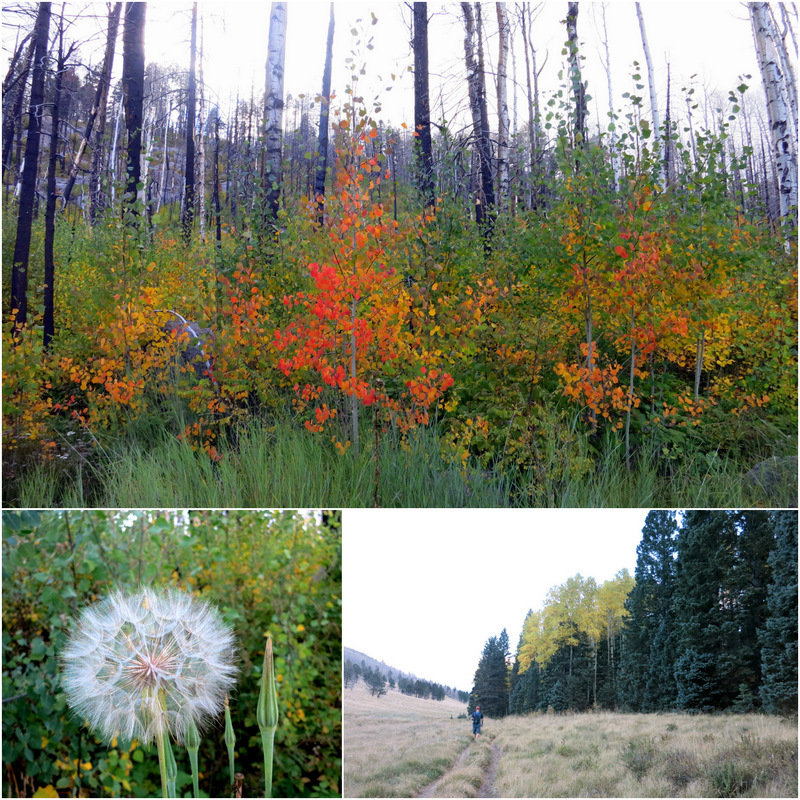 Love, love, love New Mexico in the fall! It’s definitely our favorite time there, with the colors even more intensified and the fabulous farmer’s markets and the scent of roasting chiles in the air. How fun that you’re going to the balloon festival — we were there several years ago and have wanted to go back. Can’t wait to see your photos! It is very nice here in the fall. Can’t wait to see all the golden aspens in Santa Fe. I am beyond excited about the fiesta! Next week can’t get here soon enough! We had a blast playing tour guide and hanging out. We will catch up again when you return to the west. Have fun at Balloon Fiesta – it is truly magical! Bandolier is on our list but haven’t made it there yet. You will love the Balloon Fiesta! It is such a rush watching them fly over the RV parking area every morning. Yes, you definitely need to visit Bandelier. Some really great hikes there. Can’t wait to see those balloons! Oh, the Balloon Festival!! The Ballon Festival!! We haven’t been, but have wanted to go for years. How exciting!! Oh, what great fun! Can’t wait to see your photos! Is this your first trip? I wrote a post last year on my “Top 10 Tips for Balloon Fiesta,” which should be searchable if you have an interest…. The balloon festival remained in the bucket list at least for another year. Looking forward to your story about the amazing balloons out there.